Drs. 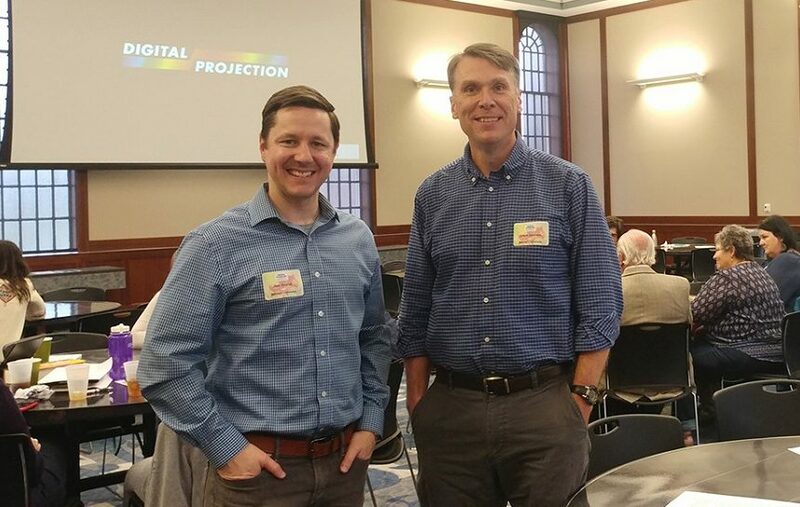 Joel Overall and Jason Lovvorn, faculty members in Belmont’s English Department, participated in the Peck Research on Writing Symposium, held at Middle Tennessee State University on April 5. The symposium featured Dr. Laura Micciche, professor of Rhetoric and Composition at the University of Cincinnati, who presented her new research study focused on the mundane realities of writing instruction. Drs. Overall and Lovvorn participated in a subsequent workshop exploring writing partnerships alongside the ordinary conditions of writing and teaching—elements that both help and hinder those who regularly engage these activities.